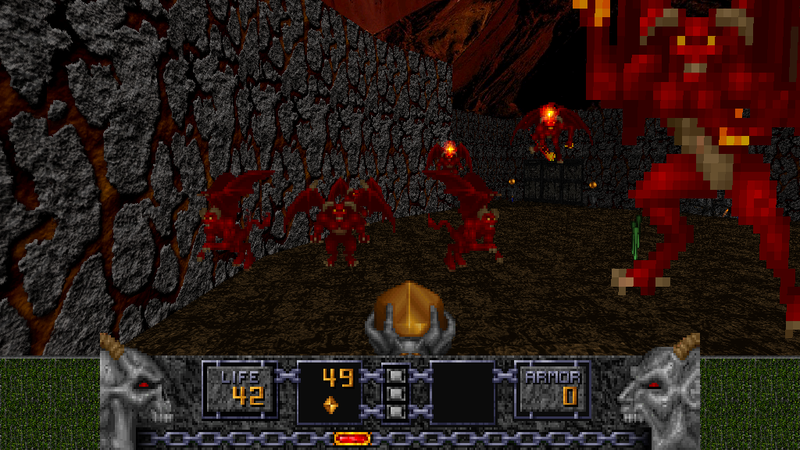 Heretic was the first game to use the Doom engine outside of id. Produced by John Romero in cooperation of Raven Software, Heretic promises to be a great fantasy blastfest in a package! Fight off Gargoyles, Golems, Wraiths and Weredragons with your Dragonclaw, Phoenix rod, Hellstaff and Firemace! This game also introduces a new item system that's become a general must for most games, using with the familiar bracket keys. Items include Wings of Wrath, Polymorph Egg, Chaos Device, Disc of Repulsion, and everyone's favorite Tome of Power, that supercharges your weapons! I used the textures for jHeretic and jHexen, then I packed them in a way that GZDoom will load them. Designed to work with Doomsday engine and GZDoom. For compatibility for Zdoom and skulltag see description. 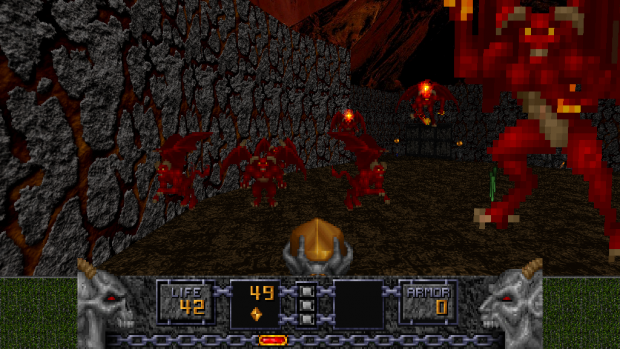 Note: will work of course for GZDoom and SkullTag OpenGL renderer. Water textures look off. It's like they're too bright and the contrast is too high. Also it's hard to tell whether switches are on or off.